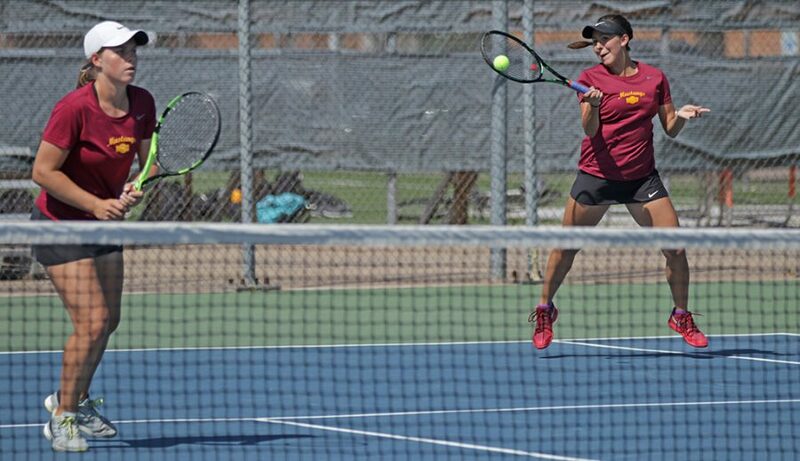 The tennis teams will be heading to compete in the LSC Championships on April 20 and 21 in Corpus Christi. The men and women hosted their last regular season game against University of Texas-Permian Basin. The women won with a score of 8-1, and the men won with a score of 8-1. The men are ranked no. 1 in the south central region with a 17-5 record going into the championship. Last season, the team finished third in the conference and made it to the first round of the NCAA II Regionals. 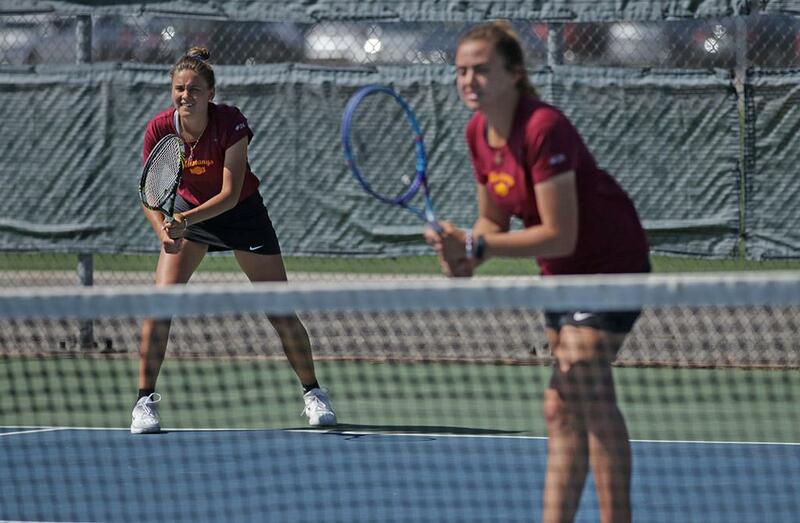 The previous year the team were the NCAA II Quarter-finalists. “We are extremely prepared for championships now. At the beginning, we had a rough start, but we worked together and practiced to get better, so we have a good shot at going far,” Maddy Coffman, right and biology junior, said. The women are ranked no. 2 in the south central region, falling behind St. Mary’s University. The team’s record is 15-6 going into the championships next week. The reigning conference champions, finished their 2017 season as NCAA II National Quarter-finalists. The women improved last season compared to 2016, finishing second in conference and having the season brought to an end in the first round of the NCAA II Regionals. “They have been progressing as fast as they can. Sometimes people who are older have a better sense of urgency, but overall we are doing good with a relatively young team,” Scott Linn, head coach, said. The team has been coached by Linn for seven seasons. He has brought the women to the NCAA II Regionals six times in his career. He has brought the men to regionals five times and both teams are confident in getting back to regionals this season.